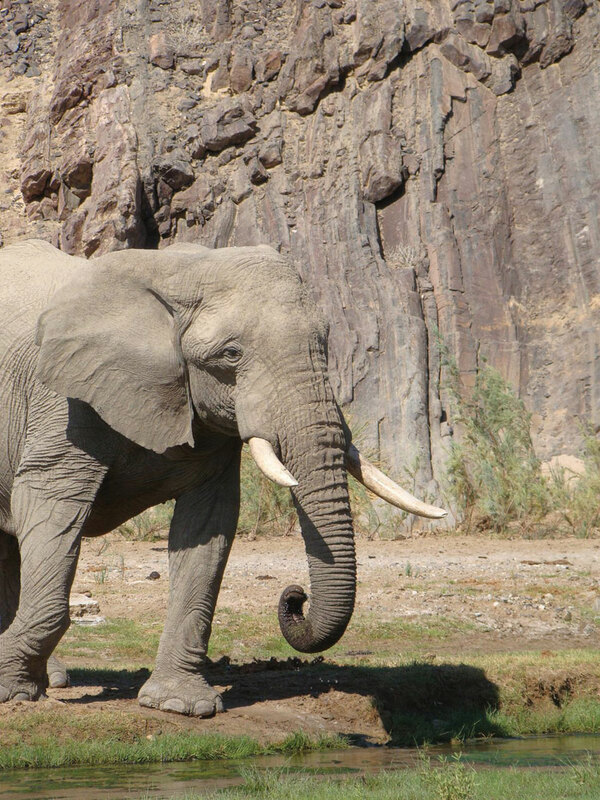 Have you ever thought with trepidation about the northern reaches of Namibia? Those areas where gravel roads lead away from towns and cities into the unknown interior and reach to the far extremities of the country? 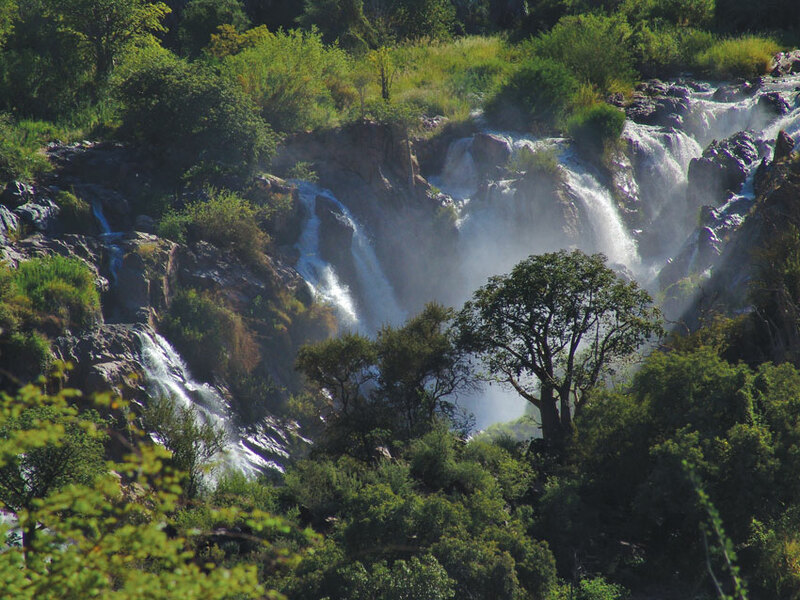 You may have wondered which are the most exciting roads to take to reach Epupa Falls where the Kunene River tumbles down the craggy rock-face bursting into rainbows between tenacious baobabs; how to travel through Owambo ­– the north-central regions of the country – new territory to most and an explosion of colour, culture and life; and which way to best explore the rich Zambezi world of wildlife and waterways. I know I have. Deliberate no more. A team of experts spent time poring over maps and researching the best options, and has drawn up three routes to make travelling through Namibia’s heartland easier and more accessible. Are you up for the adventure? It’s waiting for you. 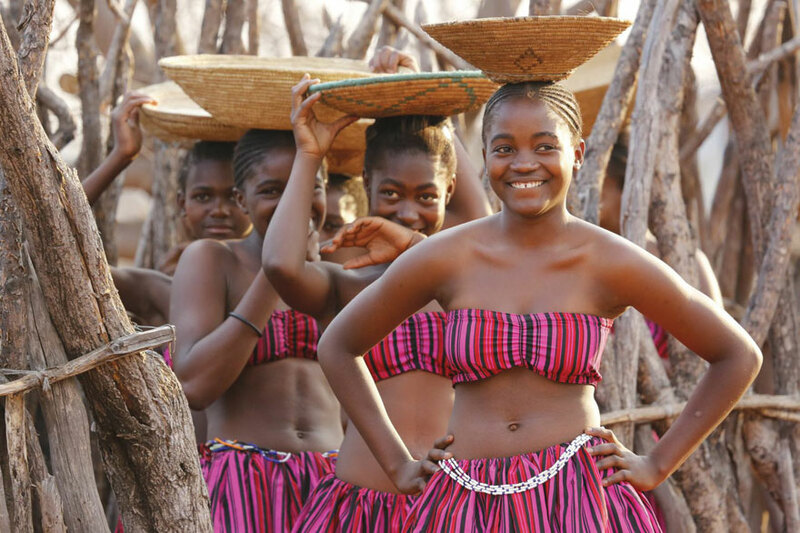 Free-roaming animals, ancient geological formations, hunter-gatherer engravings, the intriguing Himba culture, wild land and the wonders of Etosha National Park. There are many treasures to garner in Namibia’s north-western regions. Open Africa’s Arid Eden Route incorporates four optional routes and encompasses a large section of the country, giving travellers a wide choice of routes, attractions and adventures to experience in this fascinating area. The routes begin conveniently in Windhoek and Swakopmund, and radiate northwards. The route from Windhoek deviates away from the well-travelled tar road at Outjo and veers in a north-westerly direction towards Kamanjab and Etosha’s Galton Gate. 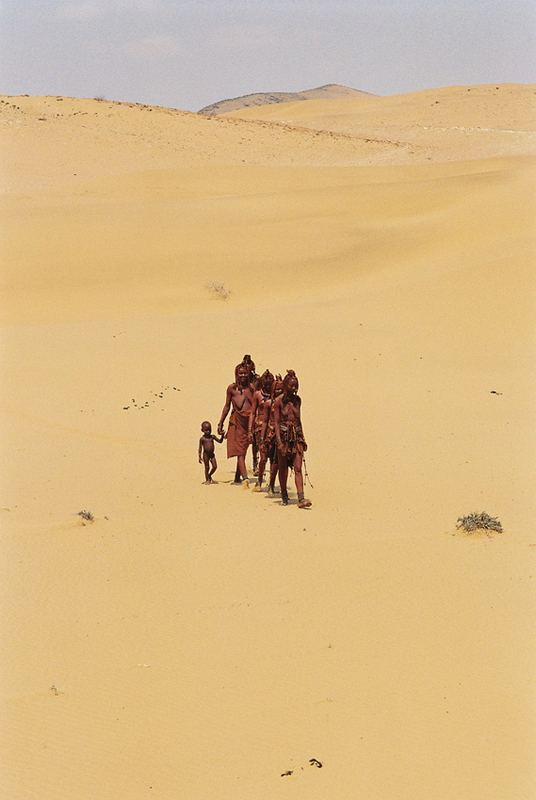 As you enter Himba territory, you will begin to notice people dressed in traditional attire and feel the tug of this more remote area. The city bustle slips away and you find yourself in new and exciting territory. 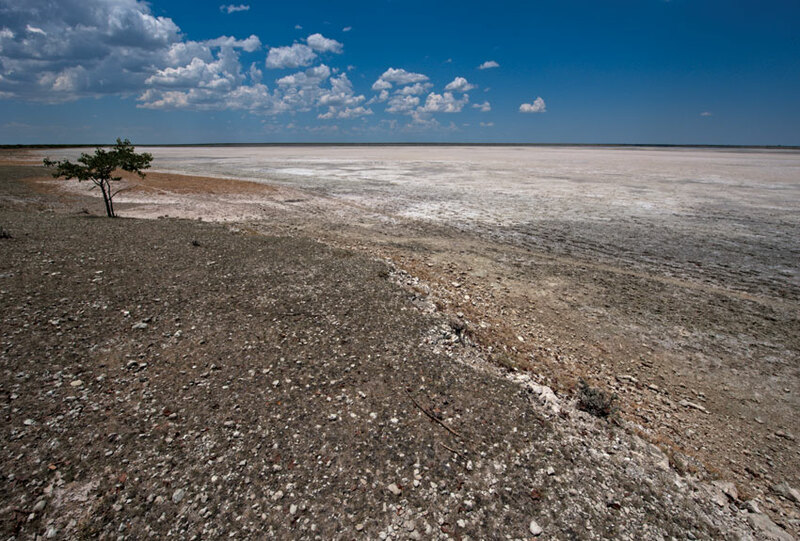 Previously closed to the public, Etosha’s western gate is a new experience for most, locals and foreigners alike. Explore this quieter section of the park and exit at the popular Okaukuejo Camp. Before you leave, make a last stop at the camp waterhole, which attracts a wide variety of game, large and small. The Welwitschia Route from Swakopmund links with this route at Kamanjab, but not before you’ve had your fill of ancient rock art. 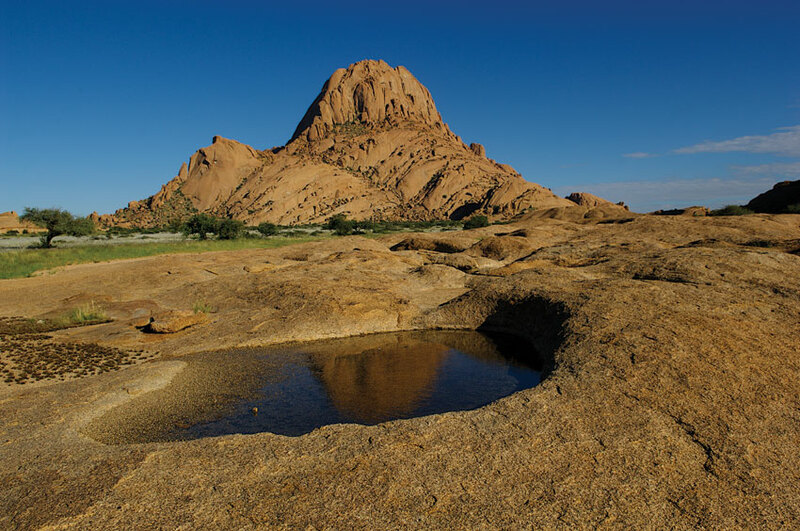 You may also want to make a detour en route to Usakos for a sojourn in the granite enclave of Spitzkoppe. This Tolkien-like massif is popular with campers and mountain-climbers escaping into the great outdoors. 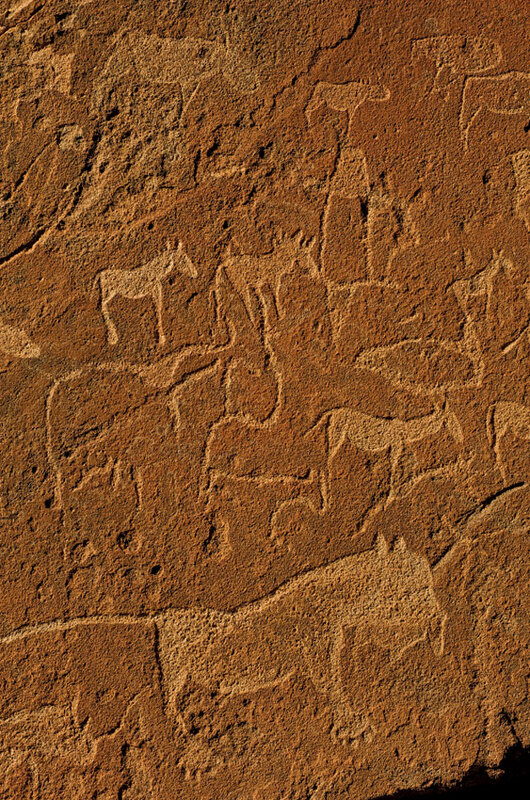 Further north, hunter-gatherer communication can be glimpsed at Brandberg where the White Lady rock painting depicts a shaman of old, and at Twyfelfontein where thousands-of-years-old prayers to the gods have been etched into the rock. Guided walks reveal the rock riches and give you a chance to stretch your legs and lap up the strange and mysterious energy of the land. 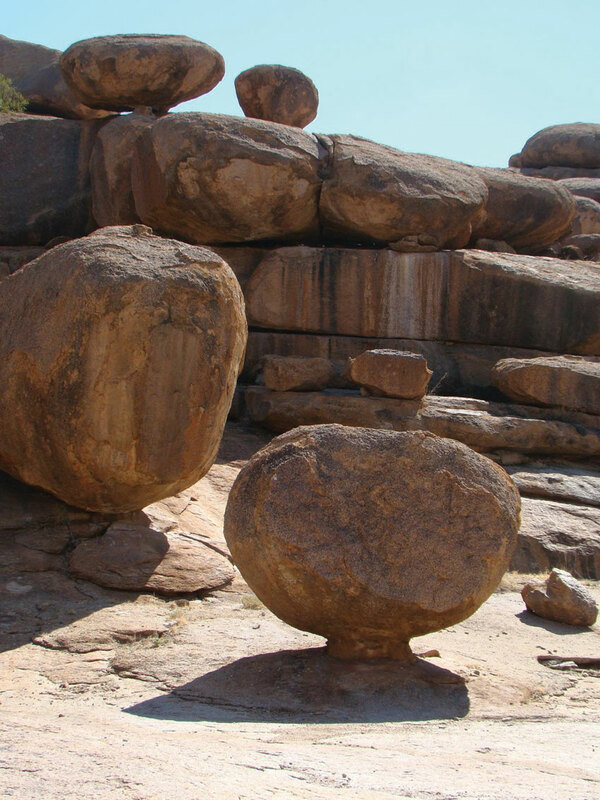 As you head northwards, you enter the more remote areas of the Kunene Region, or Kaokoland as it was previously known. Away from the major towns, a degree of self-sufficiency is required. Take note of the location of fuel stations, keep your tank topped up and carry sufficient water and supplies. En route to Opuwo, travellers with four-wheel-drive vehicles (and experience in driving in soft sand) can head for Purros to camp on the banks of the ephemeral Hoarusib River – a well-used elephant highway – and experience a taste of desert finery while visiting a lively Himba village. Although the Kunene River in this remote corner of Namibia can be reached from here along rugged tracks, it’s not advisable unless driving in convoy, and being totally self-sufficient and well-equipped, as it’s a journey that’s best undertaken with a knowledgeable and responsible tour operator. The road to the mighty crocodile-infested Kunene on the border of Angola can be more easily negotiated from Opuwo, a route that provides ample adventure. As you near Epupa Falls, baobab sentries and a band of makalani palms usher you into a place that exudes African character and charm. Watch the water plummet down the craggy rock cliffs as women hang a collection of multi-coloured clothing on the trees and birdsong fills the air with life-affirming exuberance. 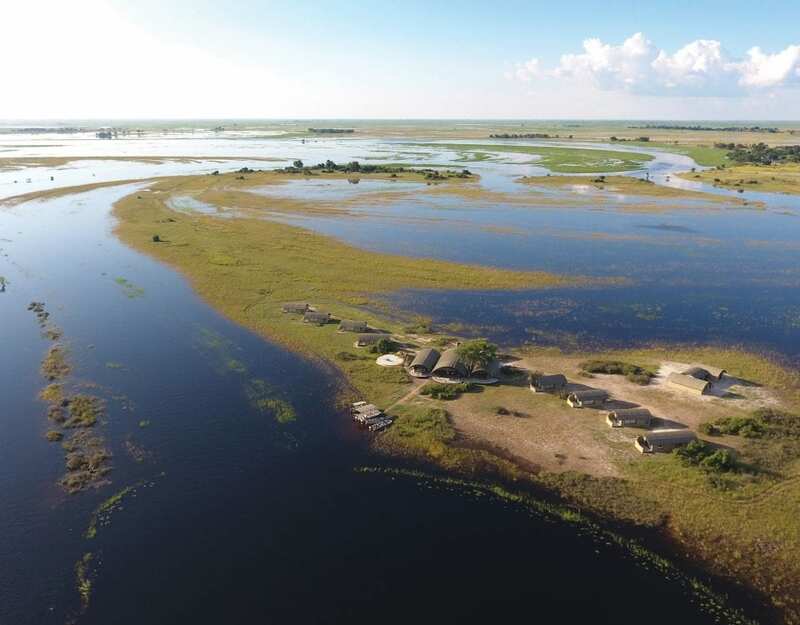 Named after the distinctive makalani palm trees (omulunga in Oshiwambo) that punctuate the landscape, the Omulunga Palm Route leads through an area north of the Etosha National Park, home to the Owambo people who form more than half of the Namibian population. The main roads (all tarred) pass through towns that are a hive of activity with modern shopping centres interspersed with bustling African open-air markets and colourful shebeens, while the quieter roads pass the traditional homesteads, mahangu fields, makalani palms and oshanas (seasonal ponds), which give this region its distinctive character. Take time to visit a traditional homestead, taste the indigenous food (including mopane worms – an Owambo delicacy), stroll through an old royal ‘palace’, sit in the middle of a gargantuan baobab, pop into the old Nakambale Finnish Mission and Church and, if you have a bent for recent history, pay your respects at the shrines and museums commemorating the Namibian liberation struggle. The Omulunga Palm Route can be traversed from east to west or vice versa, and either across the northern reaches of the country or through the hub of Owamboland. The upper route, referred to as the ‘Roof of Namibia Experience’ stretches from the Ruacana Falls in the west to Nkurenkuru in the east, passing through a rural African landscape. It’s best to visit the Falls in the summer when the water gushes down the rock face. In the winter it may be barely a trickle. The waters of the Kunene River are harnessed at Ruacana by Nampower’s hydro-electric plant, which generates renewable energy for the country. Pause in Outapi as you travel eastwards to feel the arboreal spirit of the baobab at the Ombalantu Baobab Tree Heritage Centre & Campsite behind the open-air market and visit the war museum, or take a short drive south to Tsandi to walk through the Uukwaluudhi Royal Homestead, former home of King Taapopi. The Uukwaluudhi are one of four Owambo groups that still enjoy royal representation. The main route to Ondangwa via Oshakati is slow going as you pass through the bustling centres and have to reduce speed when travelling in the more populated areas. The drive reveals the colourful Owambo culture where old traditions merge with the 21st century. Look out for people fishing in the oshanas using traditional woven traps, fish sellers on the roadside, women wearing the bright pink puff-sleeved Owambo dresses and the quirky names of the many shebeens. Wherever you stop, you’ll be greeted with wide smiles and friendliness. 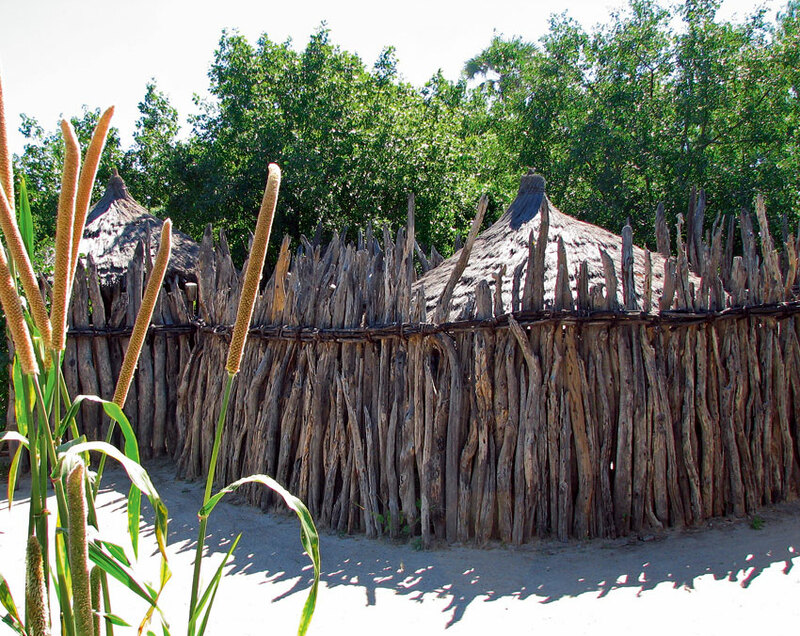 Just south of Ondangwa, make a detour to visit Nakambale at Olukonda to appreciate the work of the early Finnish missionaries in the north. Partake in a walk through a homestead and a traditional meal here or at Ongula Homestead Lodge, to gain a sense of this interesting culture. Watch the age-old craft of basket-weaving and the pounding of millet in wooden pestles. King Nehale Gate is next. This northern gate of Etosha adds an extra loop of wildlife majesty to the trip and is an optional route to reach the northern areas of Namibia and Owamboland, instead of travelling along the main roads. Pop out of the park at Von Lindequist Gate, before continuing up to Nkurenkuru and Rundu, and the rich waterworlds of the east. The journey into the rich river worlds in the north-eastern corner of the country is a perfect balance to the routes in the arid north-west, giving travellers a taste of the character and beauty of both. 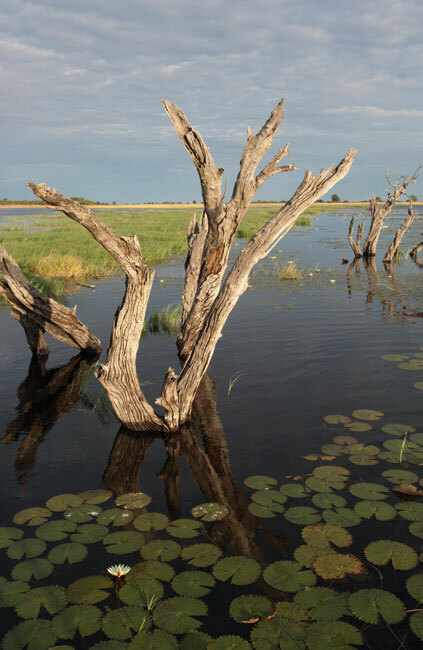 Four Rivers refers to the four river systems that flow through the Kavango and the Zambezi (formerly Caprivi) regions: the Okavango, Kwando, Zambezi and Chobe rivers. The water-ecosystems are home to a plethora of bird species, a host of animals and fascinating cultures whose existence is dependent on these remarkable lifelines. 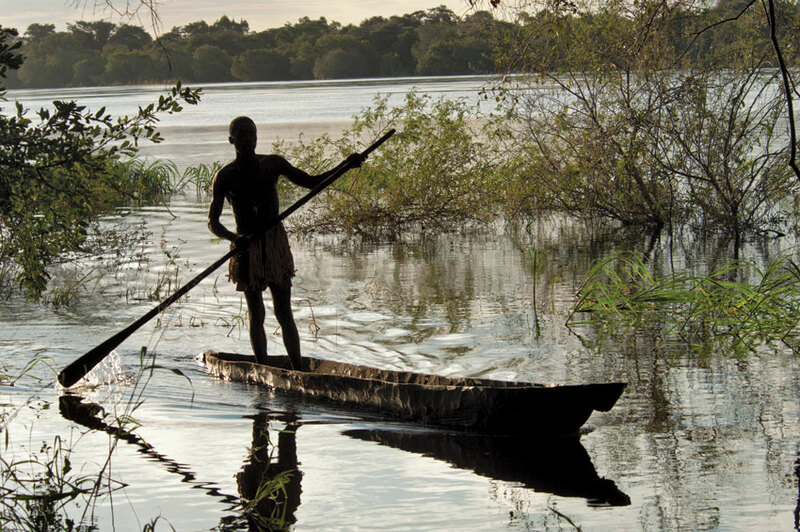 The Four Rivers Route incorporates three of Open Africa’s routes to provide a full experience of this bountiful area. 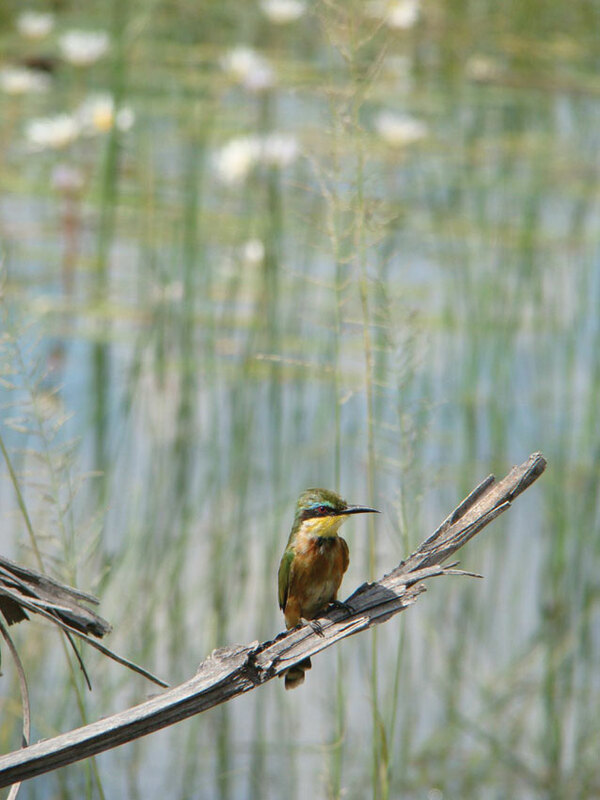 Wildlife, water, birds and the strong rhythm of Africa’s people are the attractions in this section of the country. Listen to melodic bird calls, the chiming of frogs and the contented grunting of hippos lounging between the water lilies. 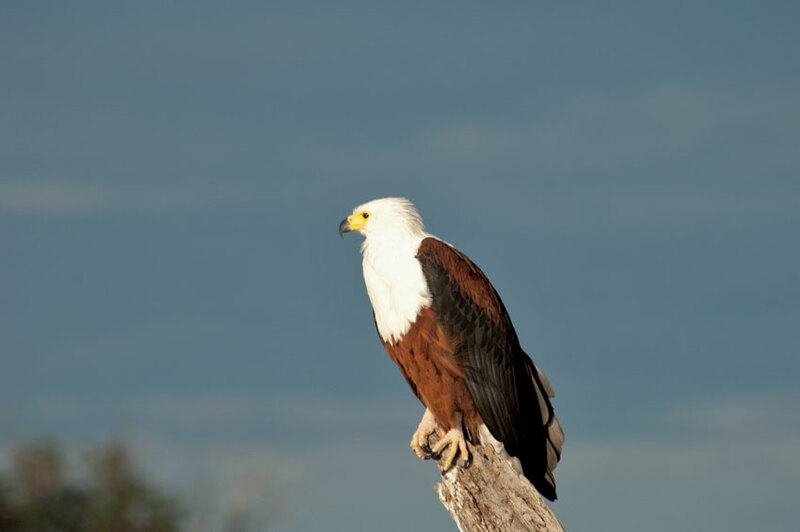 A fish-eagle’s piercing cry or an elephant’s trumpeting call are additional sounds that resonate with African spirit and epitomise the region. The Kavango Open Africa Route extends from Nkurenkuru to Divundu, hugging the northern extremities of the country. 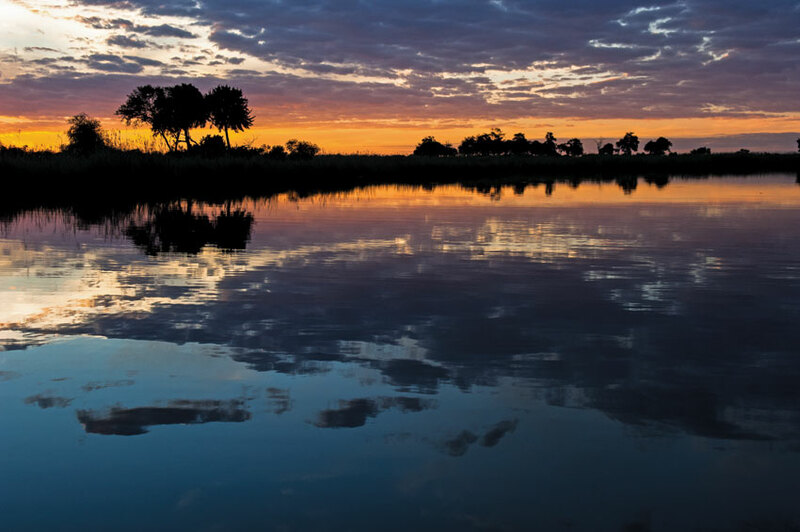 Lodges around Rundu provide rest and comfort, and opportunities to experience the peaceful river life on the Okavango River. 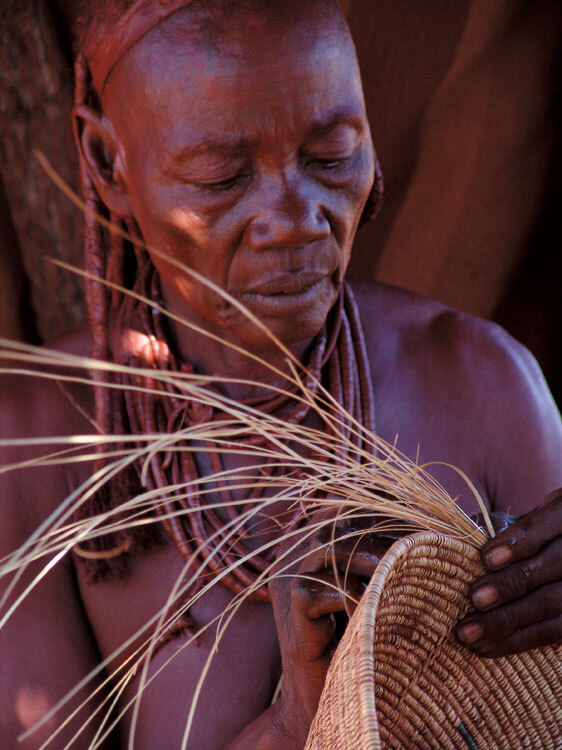 It also gives you the opportunity to experience Kavango culture. 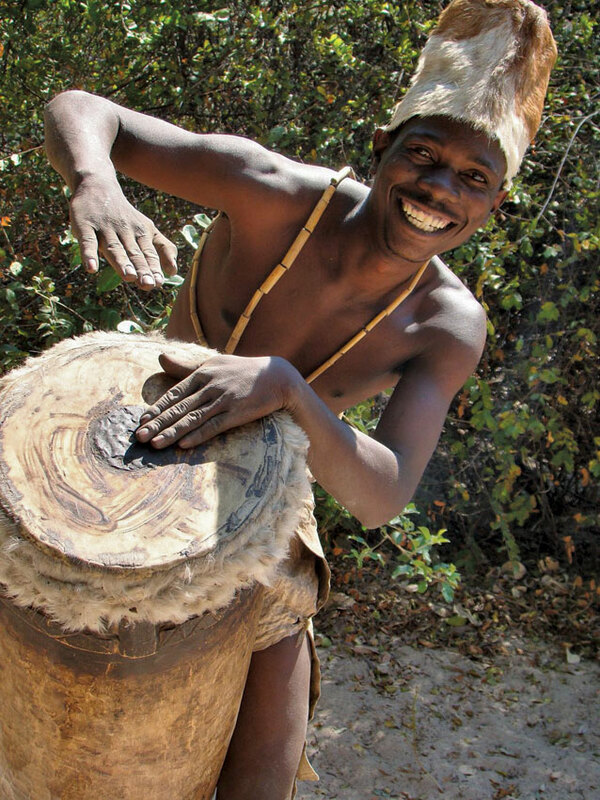 Don’t miss the Mbunza Living Museum for a fun-filled taste of Kavango culture. Rundu is also a convenient centre to fill up with fuel and supplies before travelling onwards. The road is a channel through a tree-filled expanse dotted with African villages and elephant-caution signs. Divundu is the entrance to the Bwabwata National Park where you gain a sense of the unusual community and wildlife synergy that makes this area so exceptional, and as you venture further, of the successful Namibian conservancy programme in which community members take responsibility for their resources and coexist with wildlife. 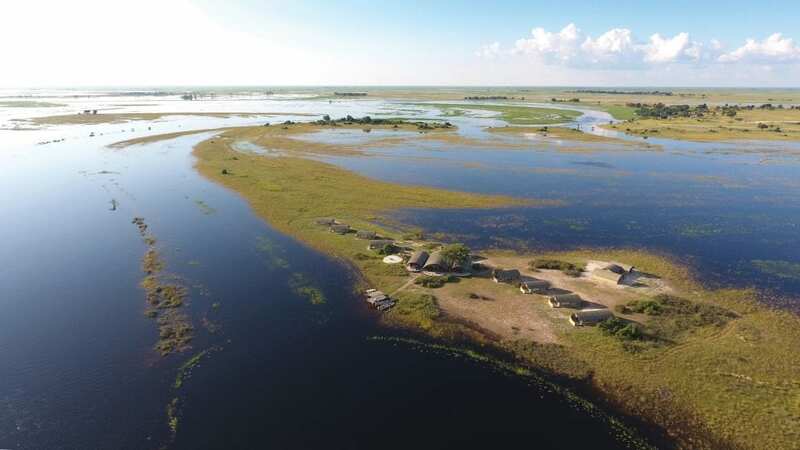 This Zambezi section of the route, dubbed the ‘Caprivi Wetlands Paradise Experience’ by Open Africa, extends to Kongola and then veers southwards, following the Kwando River before circling up to Katima Mulilo and the Zambezi River. Kongola is the place to visit the Mafwe Living Museum, located on the road to Singalamwe, to fill up with fuel and supplies and to purchase superbly made local crafts at the Mashi Crafts outlet. 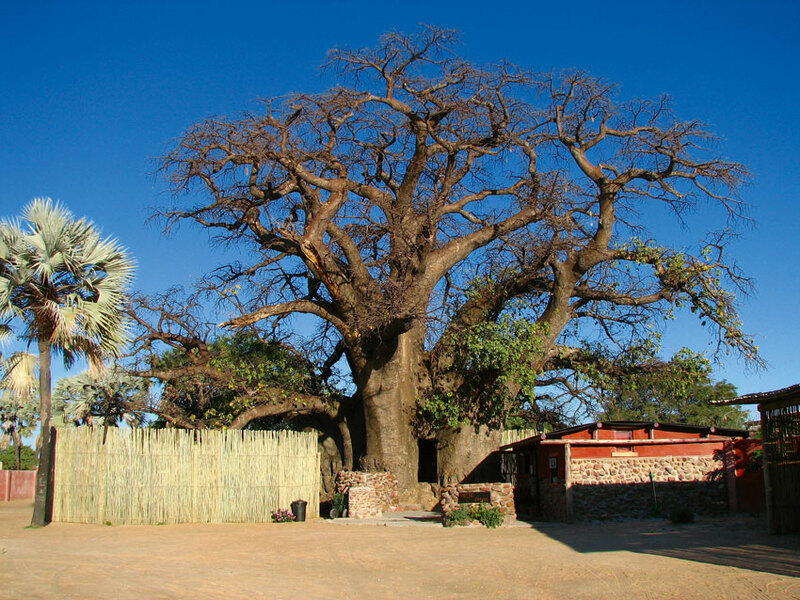 The tarred section of the C49 ends at Namushasha River Lodge where travellers can enjoy a visit to the Namushasha Heritage Centre under the boughs of a giant baobab. 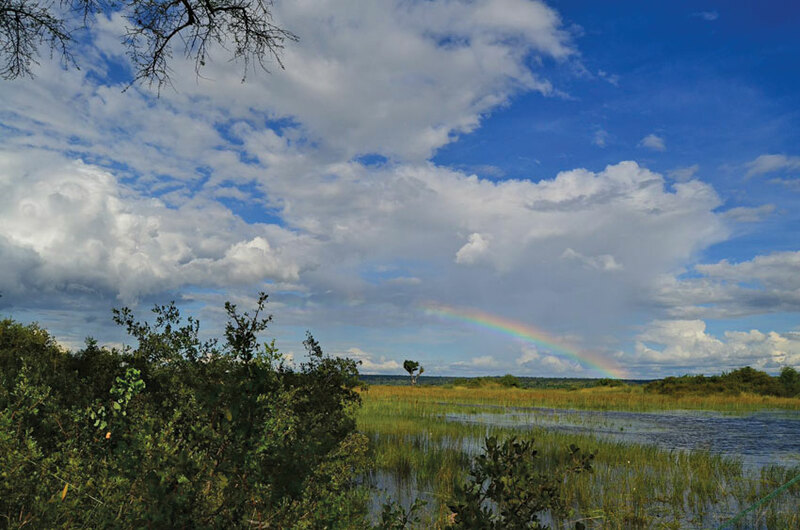 Lodges in the area provide an opportunity to experience the lush tree-filled expanse and the magic of the Kwando water channels, and to join excursions into the Bwabwata National Park (first by boat and then vehicle) to explore popular spots like Horseshoe, often frequented by elephants. Civilisation is once again reached at Katima Mulilo and at Ngoma, the final leg of your journey – or possibly the beginning. 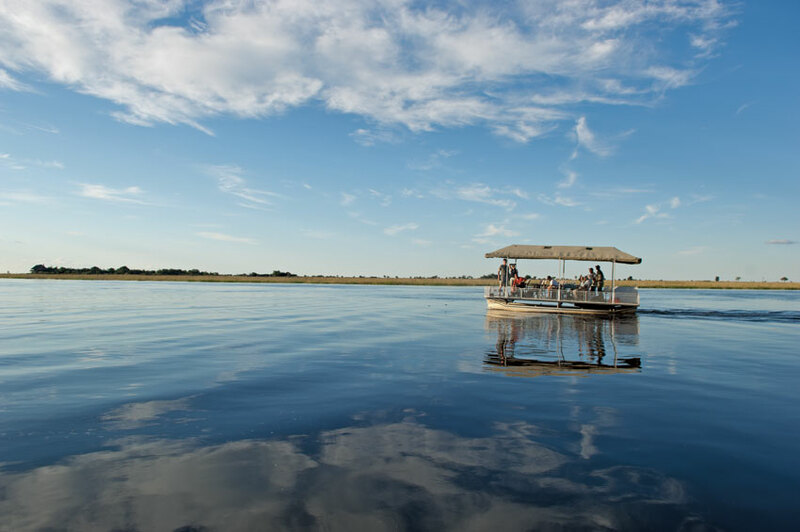 The ‘Four Countries Experience’ begins on the Botswana border and continues through Chobe National Park to Victoria Falls and the mighty Zambezi. Keep an extra measure of awe and wonder for this spectacular phenomenon where earth and water meet in a fantastic celebration. Funded by the Millennium Challenge Account-Namibia, these three routes have been developed by Open Africa and the Namibia Tourism Board to lure adventurous travellers to the less-travelled northern areas of the country. In accordance with the ethos of Open Africa’s tourism routes, they offer authentic experiences while generating income for local businesses in rural Africa. Explore the newly-opened western section of the Etosha National Park, view rock art at Brandberg and Twyfelfontein, and watch the Epupa Falls cascade down through the rocks and baobabs on the Arid Eden Route in north-western Namibia. 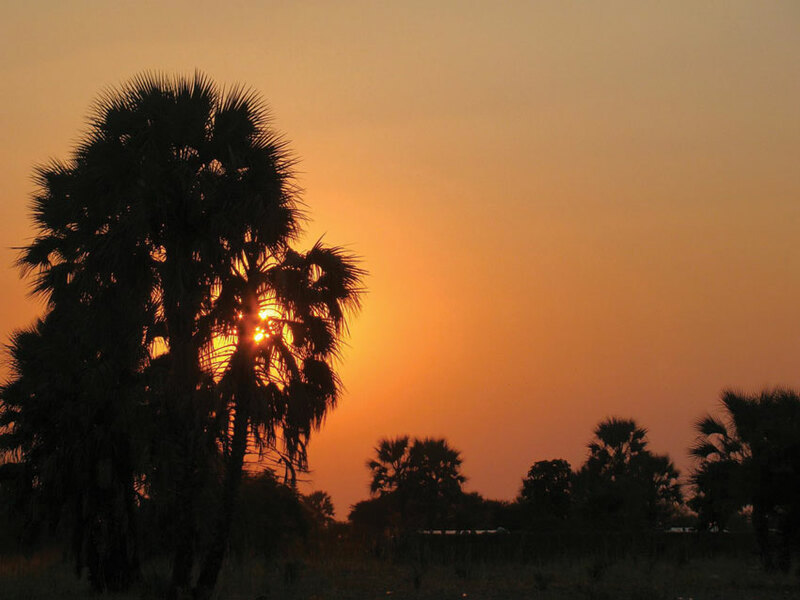 Linking the north-west to the Kavango and Zambezi regions, the Omulunga Palm Route is an opportunity to be introduced to the rich culture of the Oshiwambo-speaking people. Drive along the roof of Namibia, visit the Ruacana Falls, dip into the country’s liberation history, stay overnight, refuel and restock in the colourful Owambo regions. The lush waterworlds of the Kavango and Zambezi lie to the east and lead to the thundering splendour of the Victoria Falls. Experience the vibrant culture and abundance of wildlife in these regions on the Four Rivers Route.